The only reasonable way to deal with these sorts. yap, Jar Jar Binks IS an abomination. They didn’t call it “the phantom menace”for nothing. Shot in the head? 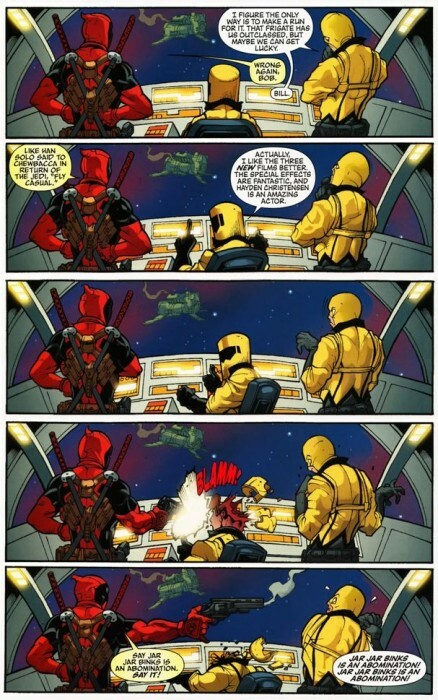 Deadpool’s more merciful than he probably should be. Nah. Once you’ve killed a thousand AIM agents, in new and creative ways, the fun goes right out of it.